After a wild first round where the defending Cup Champions were eliminated and the President’s Trophy winners were sent packing, the second round should be an exciting one. I will make my predictions now, in spite of the fact that the fate of one game has been decided. Yes, the Los Angeles Kings eliminated the President’s Trophy winners, but the Blues are a whole different type of animal. They play a defensive game in front of All-Star goalie Brian Elliot. They are also a tough team to match up against due to their depth at center and they have a solid back end. If Andy McDonald can keep the magic up (8 points in 5 games), St. Louis in a hard fought, 6 games series. This is the series where one game has already taken place; and Phoenix is actually up 1-0. I’ll ignore this, and say that Nashville will come back. Nonetheless, I think no matter who wins this one it is going to go to 7 games. 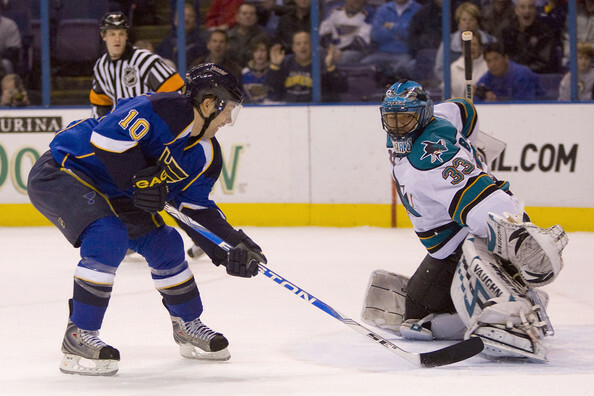 The teams play the same type of defensive game, and they both have extraordinary goaltenders. Back from the KHL, Preds forward Alexander Radulov recorded 7 points in in the last 9 games of the season and has scored 5 points in 6 games in the playoffs. If he can find his scoring touch and Nashville rolls four lines, Nashville in 7. Even without big forward Brian Boyle, the Rangers should be able to pull this one out. The Rangers have a much better backend than the Caps; with players such as Marc Staal and Dan Girardi they additionally have the more physical blue line. And if Slovak Marian Gaborik (41 goals in the regular season) gets going, the Caps have a almost zero chance at success. If Lundqvist is rolling, Gaborik is on top of his game and Ovie is struggling, Rangers in 6. Sorry Devils fans, but the only reason you made it to the second round was because you got to play the Florida Panthers in the first round. After outscoring Pittsburgh 30-26 in just six games, look for Flyers goaltender Ilya Bryzgalov to bounce back from an awful series (3.89 GAA, .871 SP) where he put on a poor performance. If Claude Giroux can keep scoring at the torrid pace he’s been on thus far in the playoffs and Ilya Bryzgalov can find a way to cover up his five hole, look for the first sweep of the playoffs; Flyers in 4. This entry was posted in Uncategorized and tagged alexander, andy, blues, bryzgalov, capitals, claude, cup, dan, devils, florida, flyers, girardi, giroux, henrik, ilya, kings, los angeles, louis, lundqvist, marc, marian gaborik, mcdonald, nashville, new, new jersey, NHL, panthers, philadelphia, playoff, predators, predictions, radulov, rangers, st., staal, stanley, washington, york. Bookmark the permalink.